Do you like to play hide and seek? We are glad to present you a Lost Forest Hide and Seek Map for Minecraft PE in which you can play this game together with your friends! 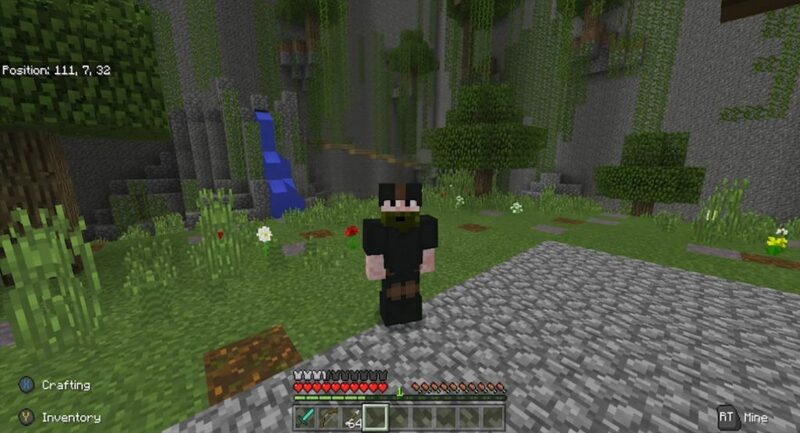 Your arena for hide and seek looks like a dense forest of the world of MCPE and includes a bunch of interesting features. You also do not have to follow the time, because this map has an automatic countdown timer, which is launched by the crawler after the execution of a specific task.If you want to hide you can use such things as automatic teleporters to quickly escape from the seeker. 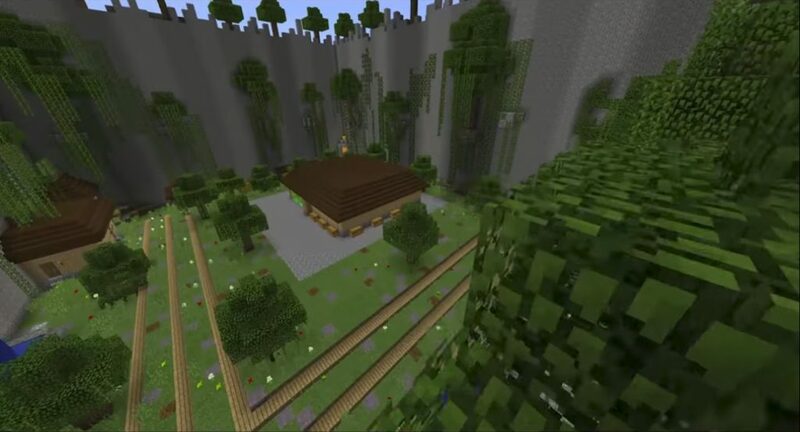 In this arena of the world Minecraft Pocket Edition you will find many different shelters, located everywhere: from underground caves to treetops. We wish you can have a fun and pleasant game! Before starting this game in Minecraft PE, you need to select a player who will search for all. The seeker should enter the wooden house located in the center of the map, then use the bow and arrows to fire the button and start the timer (60 seconds). At this time, the rest of the world’s players need to find shelter. As soon as the time runs out, the seeker can enter the arena and begin the quest. 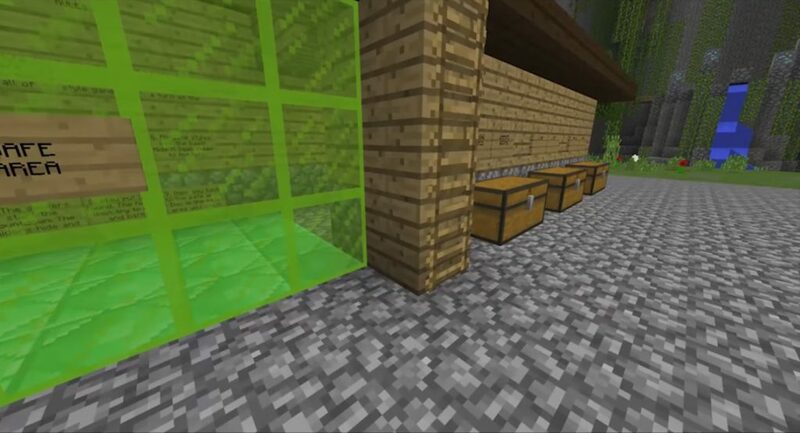 If the player is found, he needs to find a way to the green safe area of ​​the house before the seeker.